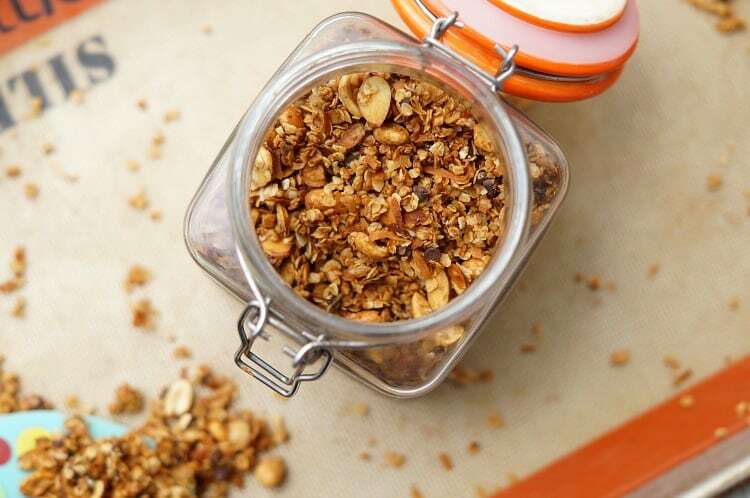 Sweet and Salty Homemade Granola is the perfect topping for yogurt, ice cream, or oatmeal! 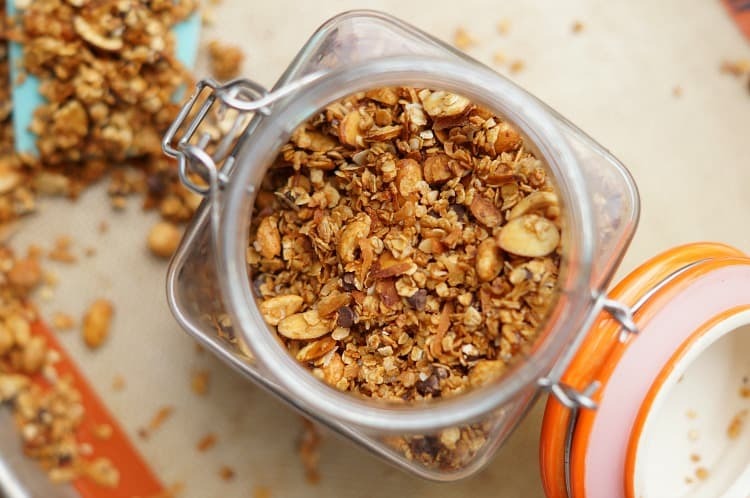 You will be in love with this easy homemade granola recipe! Hey everyone! 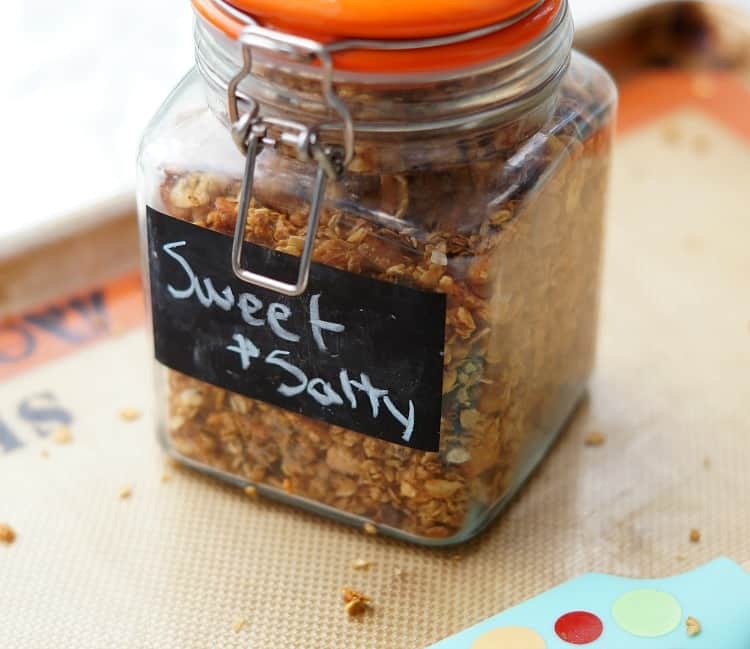 Amanda here from Old House to New Home sharing a recipe for easy homemade sweet and salty granola! 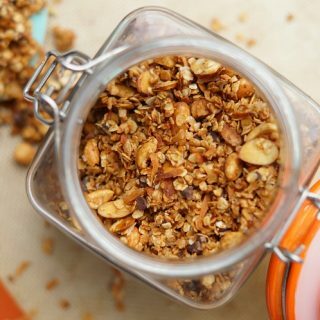 Granola is one of those foods that is so easy to pick up from the store and no one often makes it homemade. But while it is convenient, store bought granola is full of sugar and it is expensive, too! By making it homemade, you will save a few dollars and also be able to control exactly what goes into the recipe! My husband is always so excited when I make a new batch of homemade granola. His favorite is my chocolate peanut butter granola, but I knew it was time to mix it up and try a new flavor! This sweet and salty version is oh so good! You get salt from the peanuts, almonds, and a dash of sugar, but sweetness from the coconut, chocolate chips, and a smidge of brown sugar! The two flavors combine so well to make a delicious topping! 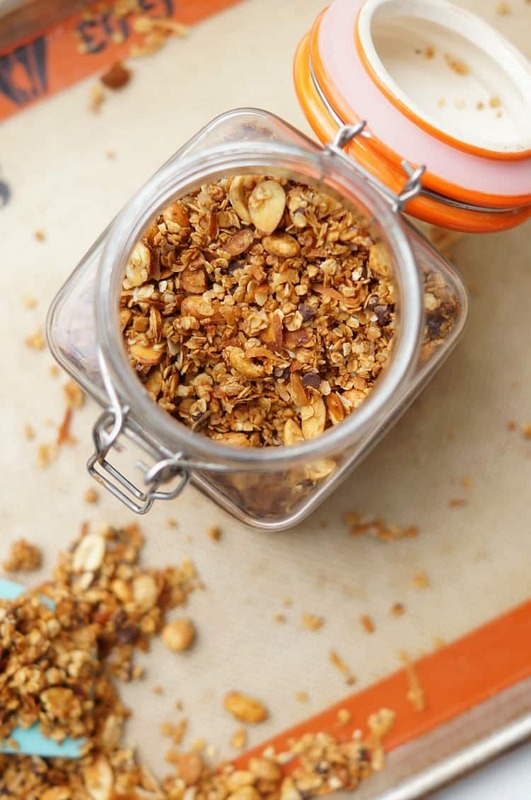 I added what we like to this granola recipe, but you can definitely customize as you’d like! 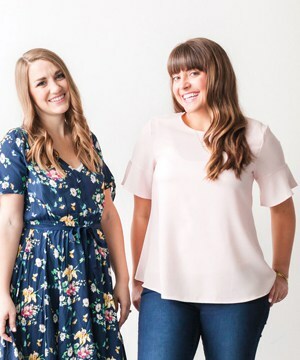 If you aren’t a coconut fan, feel free to leave it out! You could definitely replace the chocolate chips with peanut butter chips, or whatever you prefer! The combinations are endless here and you should definitely suit the recipe to your preferences! 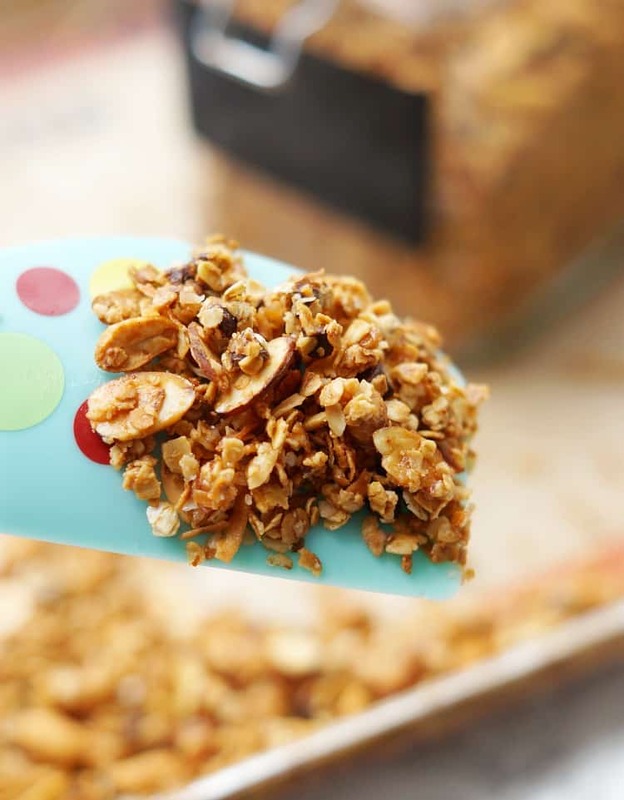 Sweet and Salty Homemade Granola is definitely a new favorite in our house! I love this for a healthy snack on top of Greek yogurt before bed! 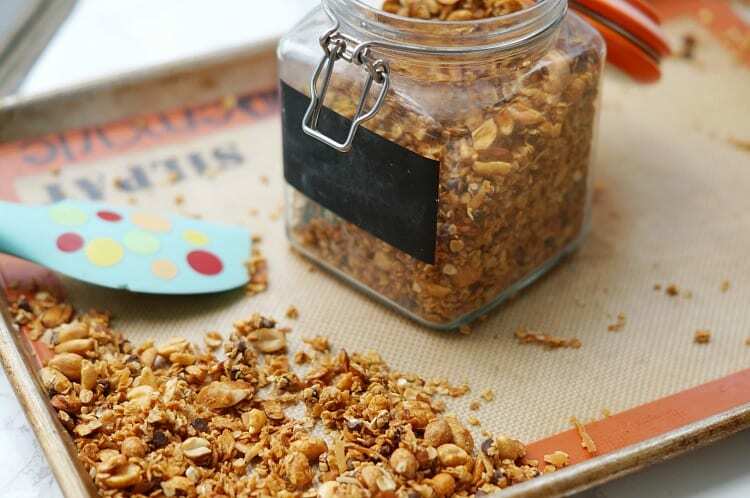 Don’t be scared to make granola at home! Once you try it once, you won’t want to buy it from the store again! On a baking sheet, add a silpat or non-stick baking mat.